Check out these 5 top cash back rebate programs that can save you money on your everyday purchases in a variety of different merchant categories. These rewards programs will give you a cash back rebate on your purchases at select merchants or of specific products. By using these cash back rebate services, you’ll save money everyday on purchases that you are already making. You can use these cash back programs in addition to any other discounts or coupons that you might be able to find for even bigger savings. There are no fees to use any of these services, so all of the savings go directly back into your pocket. Cash back rebate services are easy to use and a great way to save money on all of your purchases. All of these cash back programs are complete free to participate, and all you need to do is sign up for a free account to get started. After you create your account, you can start earning cash back on all of your qualifying purchases at participating retailers and/or of select products. To qualify for cash back earnings, you either click through merchant links from the cash back service’s website or you scan your purchase receipts and submit them to the cash rebate program directly. These cash rebate programs will then pay you a percentage of your purchase amount, which varies according to the merchant or product that you purchased. If you’re looking to save money on your everyday purchases, then these top cash back rebate programs can help you get a little bit back on everything you buy. The first step to maximizing your cash back earnings for all of your purchases is to get a cash rebate credit card, which will provide you with cash back on all of your card purchases in addition to the cash back that you earn for participating in other cash rebate programs. The Citi Double Cash Card offers 1% cash back on your purchases and 1% cash back for payments of purchases, so you’ll get 2% cash back on everything that you pay for with your credit card. 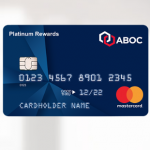 You’ll earn 1% unlimited cash back on every purchase that you make, and as long as you pay the minimum due on your credit card balance, you’ll earn an additional 1% cash back on those credit card payments. There is no annual fee for the Citi Double Cash Card, so it’s a great way to earn 2% cash back on everything that you pay for with your credit card. Then you can use your credit card when you make purchases through additional cash back programs to really start to maximize your cash rebates. Read our Citi Double Cash Card Review for more details. Shopping online is a great way to get the best deals on many products, and if you’re looking to save even more money for your online shopping purchases, then Ebates has you covered for almost anything you want to purchase online. They offer thousands of popular online retailers within their network, where you can earn anywhere from 1% to 15% cash back or more on all of your online purchases. You simply sign up for a free account and then click on any participating merchant’s link directly from the Ebates.com website to active your cash back earnings. Ebates will then send you a big fat check in the mail every quarter with all of your earnings. In addition to retail stores, Ebates also provides cash back on various travel providers and other merchants, so you can really maximize your savings, and they even offer in-store cash back at select retailers. Read our Ebates Review for more details. Everybody needs to shop for groceries, and Ibotta offers a great way to save money on your grocery shopping at almost any grocery store in America. You simply download the free Ibotta app for iOS or Android, and then select rebates that you wish to receive before you go shopping at the store. After you’re done shopping, you simply scan your grocery receipt to receive credit for the rebates on items that you purchased. 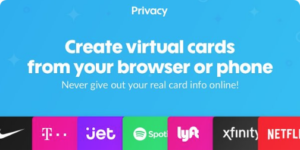 Ibotta pays you via PayPal, Venmo, or gift cards from various merchants, including Amazon, Walmart, iTunes, Whole Foods Market, Target, and many others. Besides being a great way to save on groceries, Ibotta also offers cash back rebates on mobile shopping, pharmacy purchases, travel, and in other categories. However, the biggest selection of rebates is in their grocery categories, so that’s where you can save the most money, including specific brand rebates as well as any-brand rebates, like getting 50 cents cash back for purchasing any brand 1 gallon of milk. If you are into Grocery Coupon Clipping, then you can still use any grocery store coupons that you may have in addition to receiving your cash back from Ibotta, so this is a great way to maximize your savings on groceries. Read our Ibotta Review for more details. Constantly buying gas for your daily commute can add up fast, so if you’re looking for a great way to save extra money on your gasoline purchases, Upside is the perfect solution for earning cash back on gas at various gas stations. Upside is currently available at over 6,400 gas stations (Shell, BP, Exxon, Marathon, Sunoco, etc.) in 31 states across the U.S.A. with plans to expand to all 50 states soon. By using the Upside app for iOS or Android, you can save up to 50 cents per gallon off all of your gas purchases. You simply purchase gas at participating gas stations with your credit or debit card, snap a picture of your receipt, and Upside will send your earnings to your PayPal account or by check. Upside even offers cash back on other service station purchases, such as car washes, auto services, and items from the convenience store, so you can get additional savings as well. Read our Upside Review for more details. Whether you’re ordering food at restaurants, for take-out or delivery, you can pay for your meal with the credit cards or debit cards that you link to the Dosh App to earn up to 10% cash back or more on all of your restaurant spending. Dosh (available on iOS and Android) lets you link your credit and debit cards to automatically earn cash back when you use your linked cards at participating restaurants and other types of merchants. There are many popular national restaurant chains available in Dosh, such as Chili’s and Papa John’s, and there are tons of other local restaurants and eateries available, so you’ll always find food that you love available for rebates. It’s absolutely free to use the Dosh App, and there are a lot of other places where you can earn rebates, besides just restaurants, so it’s a great way to maximizing your cash back earnings overall. Read our Dosh Review for more details. These are some of the best cash back rebate programs available for you to save extra money in a variety of everyday purchase categories.